ArtsBoston membership is open to arts, cultural and entertainment organizations of all budget sizes, both nonprofit and commercial. Our work focuses on the Greater Boston area, with the ability to do special promotional work for organizations throughout New England. With over 170 different organizations to learn from and the opportunity to leverage ArtsBoston’s strategic partnerships with local and national government, advocacy, tourism and funding communities, ArtsBoston members are never alone. ArtsBoston also understands that the arts and cultural landscape is complex, constantly changing and can sometimes feel like running uphill. ArtsBoston is your partner to tackle the hard stuff including audience diversification, taking advantage of new technologies, and leveraging cultural data. ArtsBoston provides its members with programs, workshops and networking opportunities to enhance visibility, increase revenue, build capacity, and make connections sector-wide. Acquire new audiences with the BosTix Ticketing Program, including access to your buyer’s contact information. Inclusion in ArtsBoston marketing promotions, such as Mayor’s Holiday Special. Up to 50% off rates on ArtsBoston digital, email, and premium outdoor advertising. Quarterly Member Workshops on audience development and marketing. Discounted access to the ArtsBoston Audience Initiative , the leading tool for analyzing audiences and cultural participation. 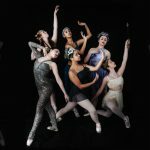 Access to the expertise of the ArtsBoston Leadership and Staff. Member Salons: peer-to-peer convenings to share best practices. Opportunity for eligible staff to participate in the Network for Arts Administrators of Color. 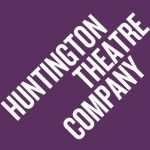 Ability to connect directly with other ArtsBoston Members. 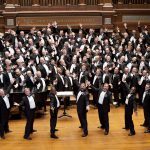 "The Boston Gay Men’s Chorus benefits from being part of the ArtsBoston family – its social media and promotional campaigns build awareness of our brand to a large and diverse audience." ArtsBoston Membership provides access to our full range of member benefits throughout the entire membership season (September 1, 2017 – August 31, 2018). Membership dues are on a sliding scale based on your organization’s budget size and tax status.